Sam Harris is truly an amazing teacher. The first 50 days of training are excellent in how he breaks it down. The lessons are wonderful and give explanations that enhance the practice. I truly believe mindfulness is one of the most important skills for individuals and for society as a whole to learn. I’m a meditation newbie, but have been thinking about getting into it for YEARS. The problem: there is a knowledge barrier to entry for anyone interested in starting. 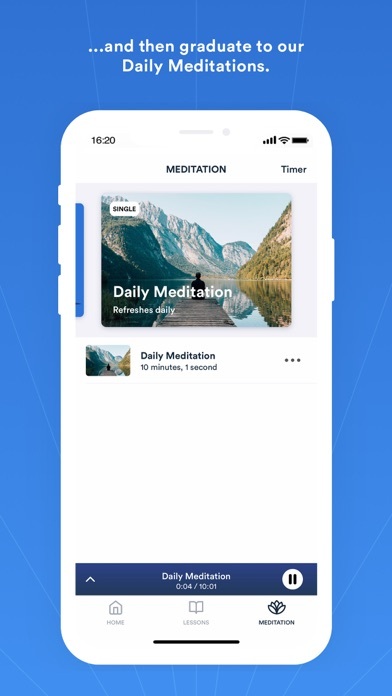 Be it for mental health, focus, or curiosity, this app has been a wonderful way to begin to explore the benefits meditation can have. It’s an easy way to start the habit of daily inflection, mindfulness, and practice - and only 10 minutes per day!! It doesn’t get easier than that. I’m only 10 days in, but very excited to see what comes next! This is the first review I’ve written for an app. I’ve struggled with stress management and made many failed attempts to meditate or extract the value meditation provides. 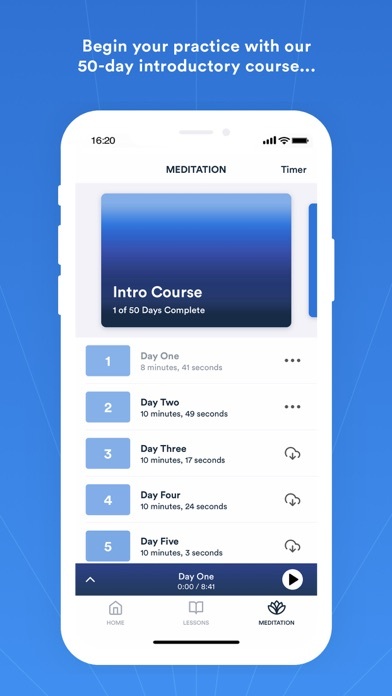 Sam’s unique approach to guided meditation (as is his approach to other things) contextualizes meditation in a way that appeals to your logical and conscious mind and in doing so unlocks a door (or skill) other apps and gurus have not. This app has helped me discover the power of meditation. I’ve always been interested but never was able to take the leap but Sams voice and approach made it accessible to me. Thank you for making this app and if your reading this review just give it a try. The first week of lessons are free. 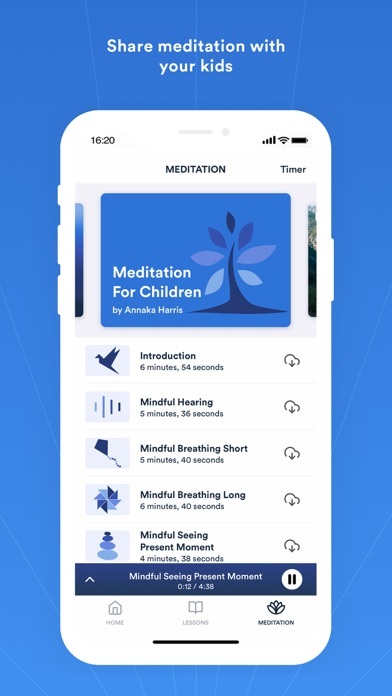 I was looking for a great mediation app and heard Sam Harris talk about this one on JRE. I gave it a go a couple days ago and I’m hooked! It really does have a positive impact on my life and would recommend it to everyone. 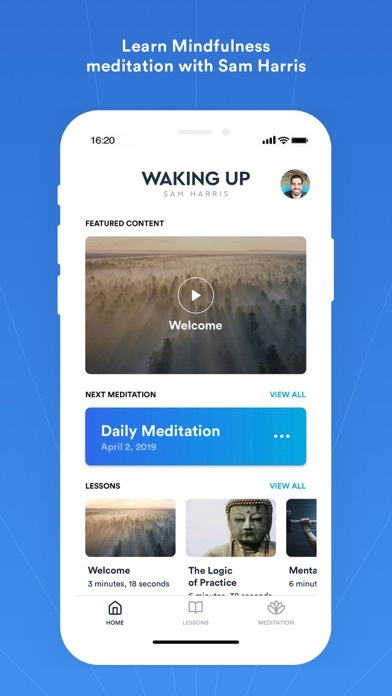 Waking up is an exceptional app that truly focuses on opening up the mind to new discoveries. The credibility of this app is impeccable. Created by Dr Sam Harris, who has a doctorate degree in philosophy and a Ph.D. in neuroscience, Waking Up truly embodies the full experience of meditation. Dr. Harris has much experience with meditation himself and teaching it prior to make the app. No better meditation app around! I have been fascinated with Sam’s work so it only seemed logical that I try his meditation app. My friend had recommended meditation to me a couple years ago and insisted on the benefits but I shrugged them off. My whole mindset has revered. Sam is very helpful in guiding your mind to the right place. My only regret is that I didn’t start sooner. Stop looking, you’ve found it! 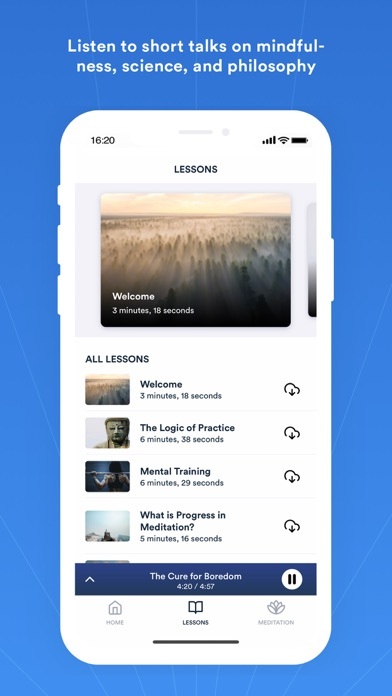 This is the first meditation app that makes me feel like I am learning at the feet of a great teacher. More than just a stress reduction tool, Sam challenges you to go deep within yourself and truly explore the bounds of your conscious self. The lessons are intelligently laid out and encouraging, but also challenge you to keep progressing.